If you’ve been paying attention on social media lately, you’ll notice that platforms that were once primarily text- and photo-based, like Facebook, Instagram and Twitter, are quickly being overtaken by video content. In fact, the Cisco Visual Networking Index predicts that video will account for 80% of all Internet traffic by 2019. Furthermore, 82% of business-to-consumer marketers expect to use video content in 2016, according to the Content Marketing Institute. But tracking the success of all of those videos isn’t as simple as it used to be. 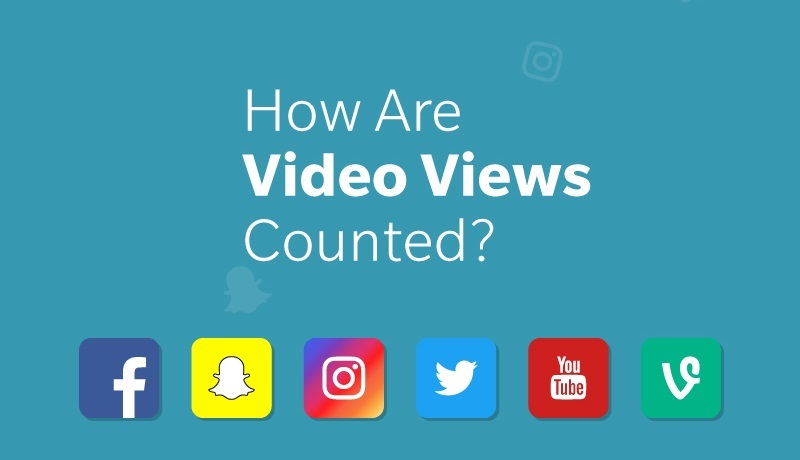 Social media platforms like Facebook, Instagram, Vine, Twitter and Snapchat host content across platforms, and each has their own method for counting views. As a result, a view on one medium isn’t necessarily as valuable to marketers as it is on another. Here’s a quick breakdown of how all the major video sharing platforms count (and charge for) views, followed by a more detailed explanation of the various metrics by platform.